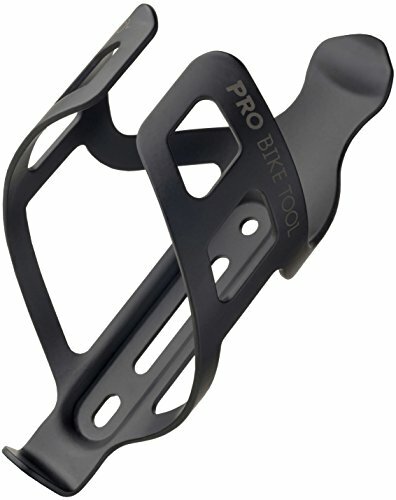 We are very proud of the superior quality and high spec that Pro Bike Tool offers and are confident that you will enjoy it too. We know our products are the Best Quality and they will last a Lifetime, so if you have any product issues - we're very happy to either provide a refund or a replacement! SUPERB DURABLE QUALITY & STUNNING FINISH - CNC machined aluminium alloy, heated treated for a strong & lightweight design. Powder coated matt finish, extremely easy to wipe off and clean. Lightweight at only 48g/1.69oz. QUICK & EASY TO INSTALL - Mount on your bike frame in under 60 seconds. Oval mounting holes allow for fine-tuning of position on frame. 2 stainless steel bolts included. Bike frame requires threaded holes for installation of bottle cage. Check out our 'Buying Guide' video in the 'Related Video Shorts' section.